Silver has the highest light reflectance of all metals. This is why it looks so extremely bright and white. 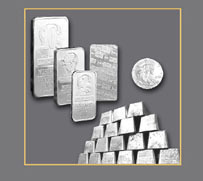 The term "sterling" means that the silver is 92.5% pure silver. The silver jewelry from Heart of Silver is stamped with the words "sterling" or "925", which assures you that the item is 92.5% silver. There are so many different looks and finishes that can be achieved from silver, and it is affordable too, so enjoy!